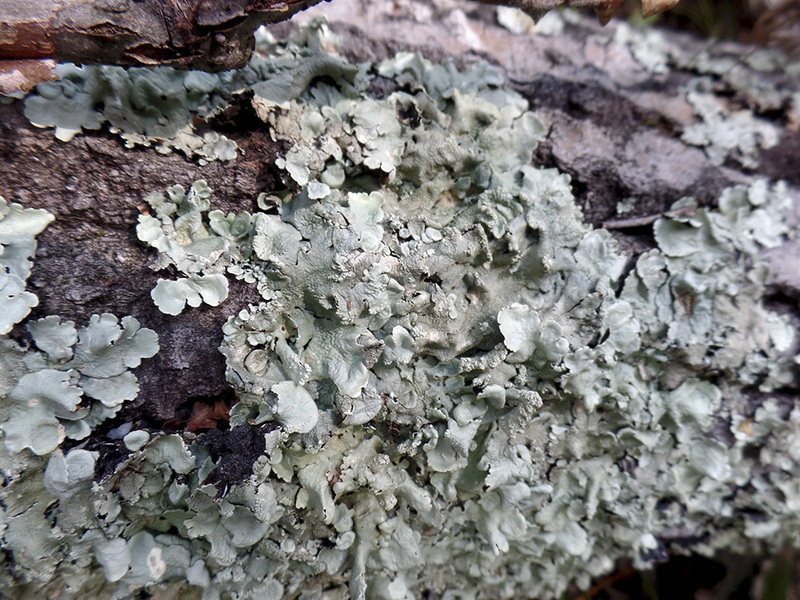 Eastern Candlewax Lichen (Ahtiana aurescens) is a medium-sized lichen that grows on the bark of cedar and pine trees. In eastern North America it is found in undisturbed old growth forests, where the dense shade, high humidity, and the texture of the substrate (bark), combine to create ideal conditions for its proliferation. In Minnesota it is found only in the Arrowhead region and usually in northern white cedar swamps. Habitat destruction due to logging of old growth forests threatens this species continued survival in Minnesota. For this reason, the Minnesota Department of Natural Resources has listed this as a Special Concern species. Eastern Candlewax Lichen is identified by the yellowish-green upper surface that is not powdery, granular, chalky, or “frosted” in appearance; the lower surface that is pale brown, smooth, and shiny; its growth on cedar and pine bark; and its occurrence in the Great Lakes region. This entry was posted in Fungi and tagged Ahtiana aurescens, Eastern Candlewax Lichen on September 16, 2018 by John Valo.